View cart “Magic BuBu Bye-Bye” has been added to your cart. 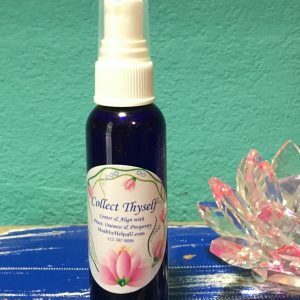 Calming Lavender spray to protect and clear yourself and your space from negative energy. 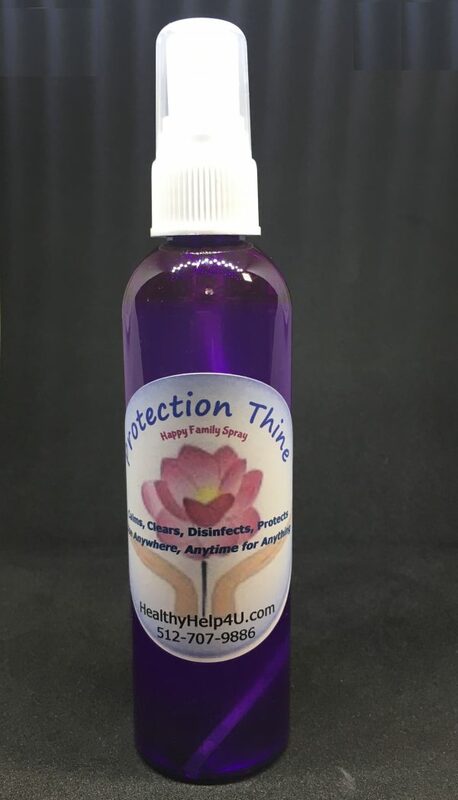 Protection Thine is a spritzer that clears negative and heavy energy around us and our environment. It has the a wonderful way of calming us too! It’s available in a 4-oz. Please note, the 1-oz purse size is only available in our gift bags. I use Protection Thine in place of anti-bacterial gels and soaps. 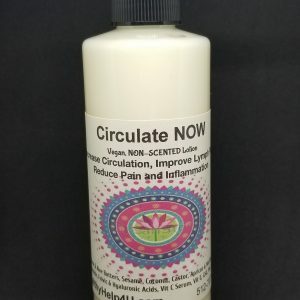 It is Awesome for disinfecting, deodorizing, and clearing atmosphere of negative and stress thought forms along with discarnate spirits. 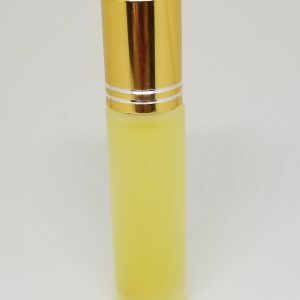 It is also antiviral and will help to calm and center you. 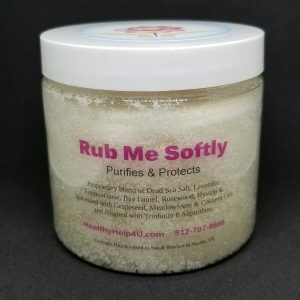 You can spray it on achy muscles, headaches, and it even works great to calm animals and fussy kids and parents. For men, you can use it as an aftershave too. I was at a Holistic event. After I set up my booth space, I will walk around to see who I know that has a booth too, so we can share a hug before the show begins. I was passing a booth that had cookware and was going to giving cooking demonstrations. The woman had something in a bowl that I couldn’t realize, so I asked her what it was. She replied that it was ground meat. For many years now, I’ve been vegetarian, so my mind didn’t even think it was meat. Anyhow, I just said okay and walked on. Once the show got started, I was working non-stop for about 3 hours, then I had a brief lull in business. About that time, the woman from the cooking booth walked by and began vomiting words of anger at me for judging her for cooking meat. I shared that I had no judgment, but she believed otherwise. I wished her well and she walked on. The interesting thing is for 45 minutes everyone that walked by my booth, didn’t even turn to look. My thoughts were what the heck happened, then I remembered the verbal vomit at me and my booth. So I grabbed my spray bottle of Protection Thine and spritzed myself, my booth area and the aisle next to booth where she had walked down. Before I even finished spritzing the aisle, someone asked for a reading! This spritzer really works and works immediately. Yay!